Micro Factoring provides all the same benefits of accounts receivable factoring, but can be used by new start ups and small businesses that don't have high sales volumes. If you are a new start up, don't have high sales volumes, or if you don't do a whole lot of business on payment terms, it doesn't mean that you can't still benefit from the improved cash flow, credit checking, collection work, and insurance that accounts receivable factoring offers. At DSA Factors we understand that not every business has reached a point where they are doing millions of dollars each year in sales volumes, in fact you might not even do $100,000 each year. No matter what your sales volume is, DSA Factors has the funds you need to help you grow your business. At DSA Factors we have no minimum volume requirements, meaning that we will not charge you for not reaching certain monthly or yearly requirements as many of the larger factoring companies. 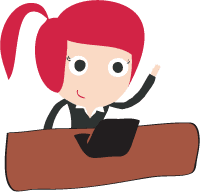 We work with companies of all sizes to help them grow their business, after all everyone has to start somewhere. Here at DSA Factors we also understand that you may not have large invoices. While many larger companies make sales that are for thousands of dollars, based on your product line and the volume you do, your invoices may only be in the hundreds or even less. 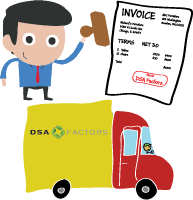 Regardless of how much your invoices are for, DSA Factors is willing to factor them for you. So if you are a new start up in the giftware industry, or you currently only offer your product direct to consumers via a web site and are just starting to get into wholesale, don't worry, DSA Factors has a financing solution that is custom tailored to you so you can grow your business. Micro factoring your accounts receivable with DSA Factors is a simple and straight forward process. Whether you sell regionally or nationally, year-round or seasonally, DSA Factors' micro factoring program will work for you. No matter what your size, micro factoring with DSA Factors will provide you with the working capital and improved cash flow you need to help you grow your business. So call DSA Factors today, and no matter what your size may be, you can be funded for your invoices in as little as 24 hours. Submit your orders for approval here on our web site. Most orders are approved instantly online, but for those that aren't we will try to get back to you within 30 minutes. We never look for a reason to turn down your accounts, instead we look for reasons to approve them. We are very proud that our approval rate is over 95%. Once you have an approval number you can go ahead and ship out the merchandise or perform the service. At the same time you should send us a copy of the invoice and backup documents. You will also need to send an invoice to your customer with our assignment stamp on it. As soon as DSA receives the invoices we will process them and send you the funds within 24 hours. DSA fully manages the receivables including making the collection calls and supplying you with weekly aging statements of your accounts. 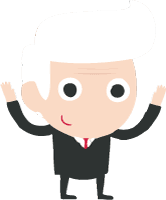 Our non-recourse factoring means that you are not responsible if a customer can't pay for financial reasons. DSA Factors is willing to work with any business who has receivables. If you have been turned down by banks or other factoring companies, give DSA Factors a call today and find out how micro factoring can be used to help you grow your business.